After the new year, development has been quiet and there hasn't been much of interest going on in OpenMW... or so I thought until I checked out the latest feature on the bugtracker. We now have a settings menu in our launcher that allows easy access to various optional features that were previously hidden in some text file that most people didn't even know existed. 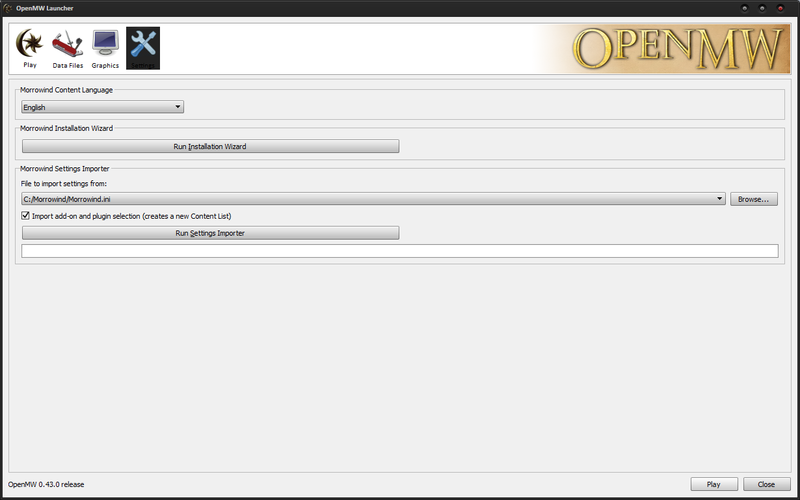 Thanks to Thunderforge, enabling these options will soon be a simple matter of checking a box. It's not quite clear if this feature is to stay in its current form, however, as we may revise it to be part of ingame options after getting OpenMW to its post 1.0 version state. 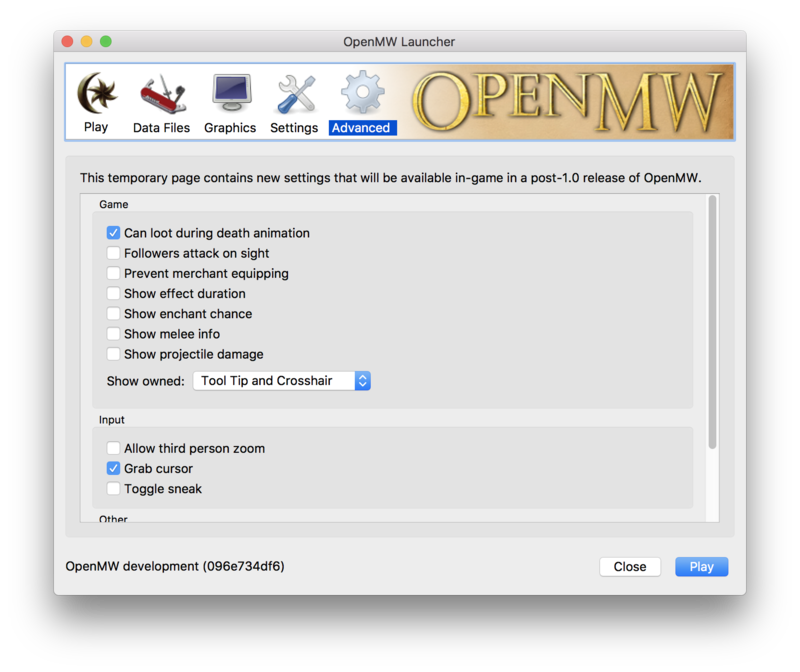 In other news, AnyOldName3's work on bringing shadows back to the OpenMW engine is still ongoing and can be followed here on github. Those who have the know-how to build OpenMW's shadow branch have reported that the results are night and day in terms of visual stability compared to earlier iterations. Last edited by DestinedToDie on 08 Feb 2018, 05:21, edited 1 time in total. Could you please change the image to this one, especially since it's on the news page? The one that you are currently showing isn't the final version (the message above the settings is different). Sure and done. If you haven't already, you should ask lgromanowski to give you access to the team members section, where we prepare these news snippets so you can chime in in case we miss something like this. If you haven't already, you should ask lgromanowski to give you access to the team members section, where we prepare these news snippets so you can chime in in case we miss something like this. I had no idea that section even existed. I’ll go ahead and contact lgromanowski. Love the video. More candidates for showing off the shadows feature include: the PC, NPCs and creatures, small inventory items (micro detail), distant terrain and statics (macro detail), over and under water. I'm sure the time will come when interior shadows can be shown off too. Where is this settings menu? I can only see the normal menu, with no advanced settings. 0.43.0 was code-freezed in the end of October, this menu is a recent development not in any stable release yet. To see it, you need to use a nightly build for your system (see Nightly builds pinned topic for Windows builds) or patiently wait for 0.44.0.